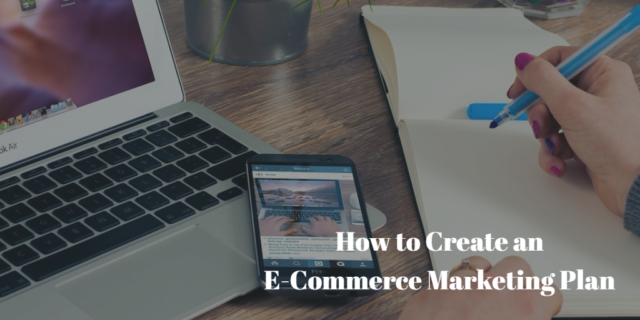 What do you think is required to create a killer marketing plan for your E-commerce website? If you are clueless, then read on to find the important content of a marketing plan. There is a wide range of marketing tools available and there is always a chance of being lured by the new online marketing concepts. This is the reason that having an e-commerce marketing plan becomes essential as one can easily stick to it. Only when the underlying assumptions of the plan require any changes, can there be alterations in it otherwise, everything will be going as it was decided earlier. The foremost step is to find and identify the reason because of which people should buy you. There is a strong need to have a unique selling proposition (USP) created or identified. The reason could be anything ranging from offering a low price for your product to being the only one in the market who sells this particular product or service. Obviously one cannot differentiate themselves by relying solely on these two reasons and need something else to stand out. Either the user experience on your e-commerce website will be very engaging or you are able to deliver the goods at a lightning speed. Whatever the reason is, it should be strong and different so that people are attracted towards your website. You would only be able to achieve something if you know what you are working towards. For this reason, it is impertinent to create an intermediate set of goals. We call these goals intermediate because they help in adapting to the changes that we undergo during the execution process. When we meet our targets or when the goalposts change because of any unforeseen or foreseen issue, the intermediate goals can be molded accordingly. After sorting what we want to achieve, the next step is to find out how we’ll know when we have achieved our goal. This can be done by setting measurable and definable goals which will make it clear if we have achieved something or not. The goals are attainable but we can stretch the targets too. You cannot just consider that the entire public is going to come to your website and will become your dedicated clientele. You need to define your target market as you will be creating the plan while keeping this in mind. You can start with covering a general target market and then can slowly get further in this. You can outline different personas and make subgroups which are likely to act differently. As these subgroups will have varying interests, therefore, they should be marketed employing different methods and channels too. What to do to Market Your Website Well? You can develop the greatest e-commerce website but what benefit would it bring if it has no visitors? Firstly, you must be able to define success in terms of volume, earnings, or any other measurable target. Only this will help you in determining how near or far you are from your goal. Secondly, you must list the challenges which you need to overcome on your way to success. If you will start pondering over all the possible challenges, you will be wasting a lot of time. Therefore, you can bring your research down to the top three ones which you will be facing in getting success for your e-commerce website. Your plan should be focused on getting new visitors to the website too and this means that it will be focusing on all the ways used to lure the customers. We can divide these ways into two separate categories – ongoing and one-off campaigns. When we talk about the ongoing e-commerce marketing channels, we are actually referring to the ways of marketing which we rely on constantly. For example, Ad words and automated email recommendations are used quite frequently while testing new ideas. On the other hand, the on-off channels are the ones which are utilized only for a set period of time and then they become obsolete. They can be devised to achieve specific goals and once those goals are achieved, the channels are shelved. For example, a big sale on selected items. This part of the plan is focused on the journey of the customer as the idea is to bring potential improvements so that a specific goal can be attained. You might be coconvertingew visitors or the old ones but you are actually bringing their focus to specific areas of the website. After you have already defined the goal, you can formulate a strategy to achieve that goal. Be prepared to test a few ideas before you finally find the one which will make your goal easy to get. There is a lot of competition in the market so the trick is to retain all the visitors which you have attracted so far. You need to keep most of your customer base happy so that they don’t go along looking for other options. Apart from the routine retention campaigns, you will also be trying out new channels to keep the interest of the customers intact. You will be remarketing the same audiences with on and off campaigns. One should take this seriously because the current customers are actually the heart of the business. It is a lot more important to retain the already existing customers than getting the new ones. You will be measuring the overall success of your e-commerce marketing plan with the help of certain metrics. These metrics should be defined in the plan because they will help you in knowing how close are you to your initial goals, what you have achieved so far and what other things you need to get done to cover all the shortcomings in the plan. Good luck with your plan!